Meghan Martin fears it’s going to be a lean Christmas. Since her husband, Dustin, abandoned her and their six-year-old daughter, Angie, she’s been forced to give up their cozy house in the suburbs and move to a small apartment in the city. 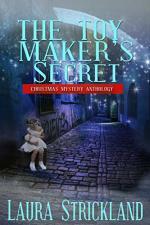 Though she loves the multicultural flavor of the new neighborhood and how people help each other, she fears she won’t be able to make all Angie’s Christmas wishes come true, especially when Angie falls in love with an expensive, hand-made doll in the toy maker’s shop downstairs. Now mysterious things are going on at the community center where Meghan works. Instead of too few packages beneath the giving tree, there are too many, and nobody can tell how they’re arriving. Could it be a touch of Christmas magic?